The best practices for allocating inventory have changed over the years, generally out of necessity as the nature of the omnichannel shopping experience has evolved. In the past, supply chains and retail channels were relatively simple – merchants would have distribution centers that pushed stock to the appropriate store when it was needed. However, the growth of eCommerce added an additional wrinkle to the mix – sellers now have to manage stock between both physical and digital stores. New trends, such as the rise of drop shipping and ship-from-store options designed to expedite delivery, also make things much more challenging. One white paper released by the Johnson School of Graduate Management found that as many as 33 percent of Internet retailers use drop shipping exclusively, for instance, and that eCommerce sales of retailers are growing by double-digit figures each year. Merchants need to react to this, and it starts by rethinking how they handle inventory allocation. Inventory placement is a critical consideration. If merchants do not have enough stock, they run the risk of losing sales. If they have too much, it may mean they need to slash prices and take a smaller margin to free up that frozen capital and clear room for fast-moving inventory. Optimizing the placement of inventory helps retailers make the best use of the stock they have purchased already, minimizing the occurrence of either out-of-stock instances or forced sales. Current channel inventory levels: How much stock does a retailer have at a specific location? If that figure is too low, it may be time to reallocate some inventory to that location. Conversely, if that number is too high, sellers may want to consider shifting some goods to fill orders from other channels. 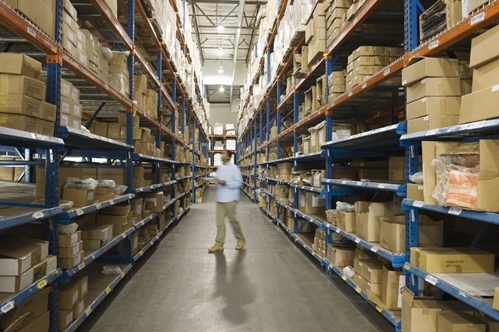 Stock on hand: How much inventory do merchants have across all distribution centers? Having a single source of truth allows retailers to decide when they need to purchase more inventory, and when they can simply reallocate to get by. This can help merchants save on shipping costs – they do not want to ship inventory to different distribution centers and warehouses when they will need to order more inventory anyway. Incoming purchase orders: For many retailers, new inventory is always arriving. The ebb and flow of stock across distribution centers can play a pivotal role in helping retailers decide where they want to shift inventory too. If a purchase order is coming through, retailers may be better off just waiting for it to arrive and using other distribution centers to fulfill orders. While determining the optimal time and place to move inventory can be a complicated task, retailers can use eCommerce solutions and predetermined logic to make it less of an issue. This can help notify them and execute moves when inventory levels get low and allows merchants to automate a task that could potentially be bothersome. This technology can go a long way, not only in helping keeping shelves stocked, but also in enabling sellers to make the most profit out of the items they have already purchased. Inventory is the bread and butter of retailers, so it is critical merchants utilize it effectively. Allocating it to the right place at the right time should be one of the first steps retailers take to maximize this area.